When Amazon’s Echo Show officially launched on June 28, publishers rapidly announced video-optimized skills for the device, while Amazon only partnered with a handful of brands to do the same. Reviewers swiftly critiqued the device for not having enough visual skills. But it seems the fever is building for the $230 audio and video device. More brands are now optimizing their Amazon skills for the new Echo Show. In the weeks following the launch, Campbell’s and Starbucks have developed visual assets to go along with their Echo skills. Other brands, such as Kayak, are in the process of developing their own experiences. 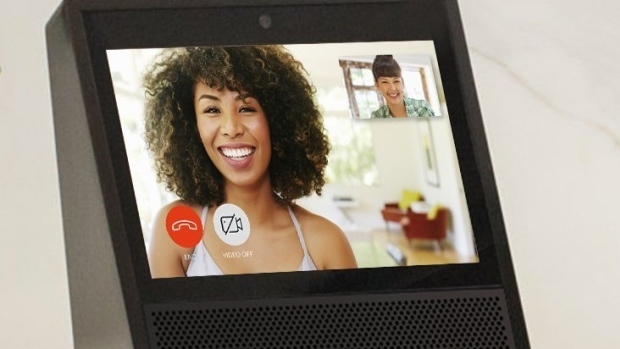 Part touch-screen, part home voice assistant, the Echo Show is a 7-inch device that allows consumers to control what they see by voice or touch. Campbell’s was one of the first brands to launch a skill on Amazon’s Echo in 2015 with Campbell’s Kitchen and has now become one of the first to do so for the Echo Show. With the enhanced skill, consumers say, “Alexa, open Campbell’s Kitchen,” and an image pops up of a pepper being sliced on a cutting board with text asking, “What kind of recipe are you looking to make today?” The skill gives the consumer a few suggestions on what they can say, such as “dinner recipes.” It will then bring up several recipes with videos, images and instructions users can cycle through. More than 3,000 recipes are available through the skill. Users can also search by main ingredients, prep method and effort level. If they want to come back to a certain recipe later, they can email it to themselves. Greg Hedges, director of strategy at Rain, the creative agency that partnered with Campbell’s on the upgraded skill, calls the Echo Show the “darling” of the Amazon family. “It takes the voice experience and makes it multidimensional,” he said. Since launch, Amazon has worked on getting more developers on board. One way the platform is doing so is by using free swag to lure developers. On its blog for developers, Amazon promises that the first 5,000 developers to build a skill in July will get a free Echo Dot and “limited-edition Alexa developer socks” so they can “experiment and daydream.” Amazon has added new capabilities to its Alexa Skills Kit to help developers get started. At least for now, brands don’t have to pay Amazon a cent to integrate visual touch points and experiences into the new Echo Show device, according to Hedges. Instead, the price will come down to the production of the visual elements and how robust marketers want their experiences to be, similar to any other interactive project. To develop experiences for the Echo Show, Amazon provides nine templates that incorporate lists, text, images and video that developers can compile to form their experiences. By eliminating a price tag, said Hedges, Amazon is also eliminating the friction of getting brands to create experiences for the platform, the very thing that “brings people to Alexa and to Amazon,” he said. After all, a lot of Alexa’s 15,000 skills make the most sense with a display. The Campbell’s Kitchen skill is a good example. Vendors are also coming out with specific software to help brands with this process. Brightcove, for instance, announced its new “Jump Start for Echo Show” on July 11 and has already started consulting and working with brands. Amazon might be cozying up to brands to get them on its new device, but brands shouldn’t look to get much feedback once they’re there. Amazon is notorious for being tightfisted when it comes to passing along consumer data.